This photo of the on-going project at 400 Spectrum Center Drive in Irvine shows the soil nail wall (construction photo posted here last week!) complete at the rear of the site. The top of the wall is adjacent to existing landscaping that borders Alton Parkway and Enterprise Drive. 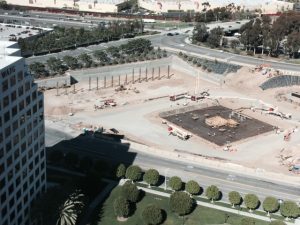 In front of the wall, foundations for the new parking structure (underlain by Geopiers) can be seen under construction. In the foreground of the site, the steel for the mat slab is ready for inspection and the concrete pump trucks are setting up for the 5,000 cubic yard pour early the next morning. 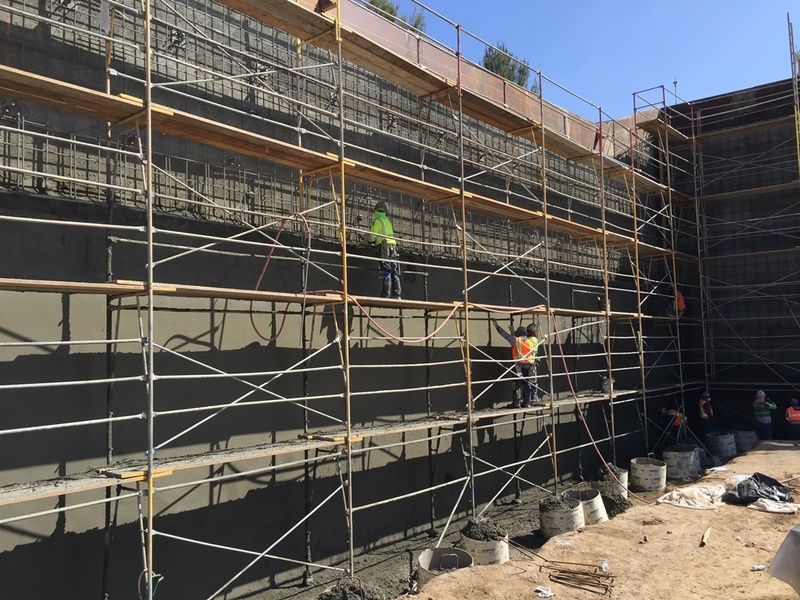 GMU provided design and inspection geotechnical services for this complex project in the rapidly growing Spectrum area of Irvine.